Order all 3 issues for a discount! You can now order issues #1, #2 and #3 in one bundle for just £6 (+P&P)! 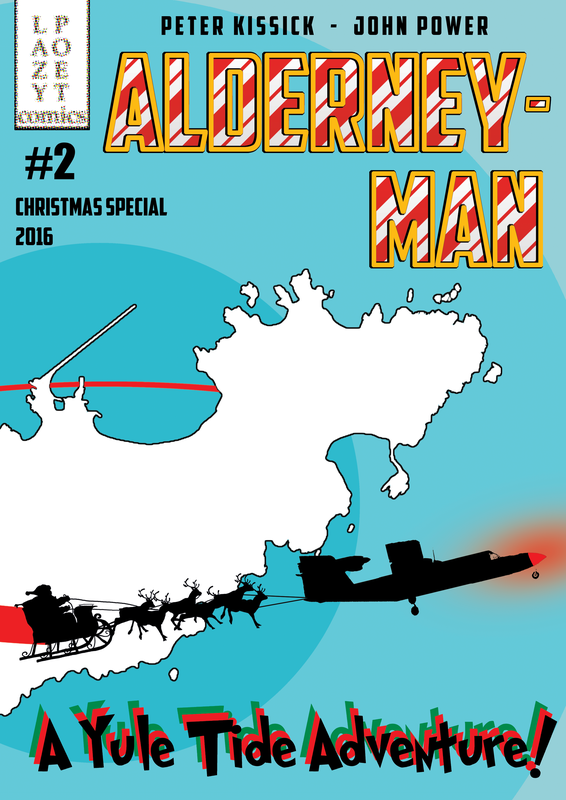 Issue #2 – The Christmas Special! Issue #2 has arrived – just in time for Christmas! Alderney-Man and his new sidekick Burhou-Girl face their greatest challenge yet, when a massive Yule Log blocks the harbour on Christmas Eve! Will the Channel Islands’ greatest superhero be able to defeat an inanimate piece of wood and save the day in time for Christmas? Copies are available now from Alderney Cycle & Surf at the bottom of Victoria Street, or order online using the links below. Issue #1 – An Unlikely Origin! The first issue has landed! Discover the unlikely origins of the Channel Islands’ first (and only) superhero, and the arrival of the mysterious Gannet. 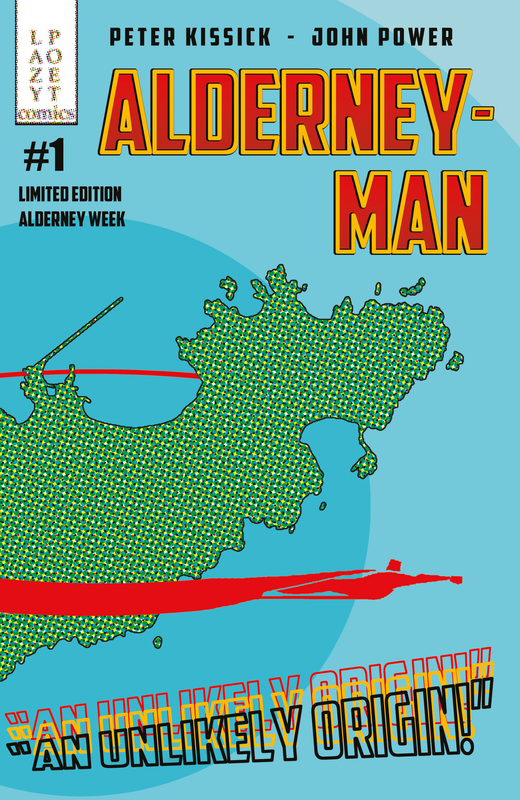 Created specially for Alderney Week 2016, this original, full-colour, 16-page superhero comic-book is set (almost) entirely on Alderney. 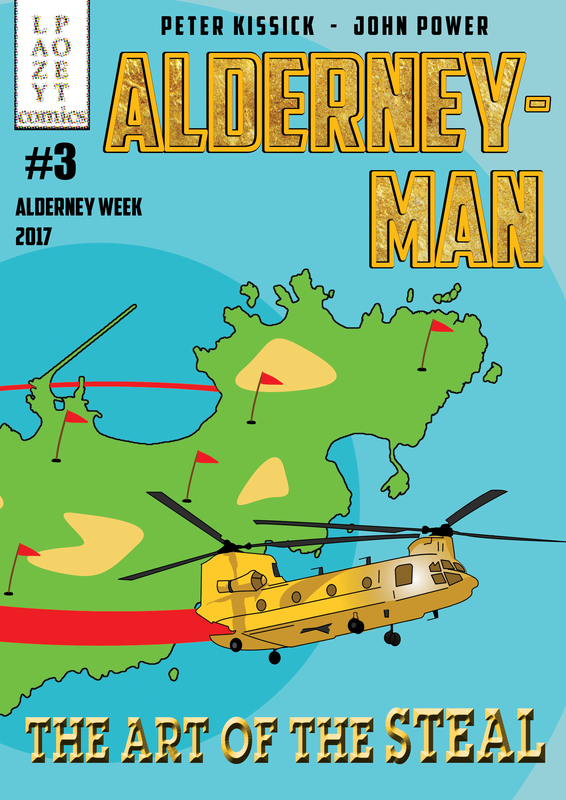 The first issue is available right now from Alderney Cycle & Surf at the bottom of Victoria Street, or Alderney Wildlife Trust. Or you can order online right now, and we’ll fly it right to your door! Just select your location from the sidebar on the right, or the menu at the top of the page.